I love a trip to Sephora, whilst you can buy online in the UK now there is something exciting about browsing a store full of new beauty discoveries. My first Sephora visit was a few months back (I bought some great lip stains and eyeshadows which you can see HERE) and as soon as I arrived in France for my summer holiday I was Googling the nearest store. Ok I admit it, I actually made a few visits during my trip - the first time was a quick browse which was interrupted by my squealing toddler. But I had managed to swatch some products as I looked round the store. I noticed later that day and the following day that despite two showers and adequate hand washing (I promise!) some of the swatches still hadn't budged. I had to make another, now solo, trip to Sephora to track down this amazing product. Retracing my steps I realised that it was the Sephora Jumbo Liner 12H Wear Waterproof. 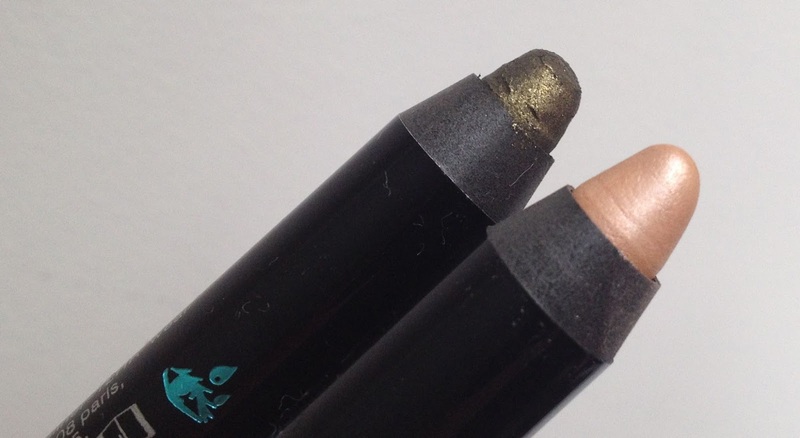 The Sephora Jumbo Liner 12H Wear Waterproof is a twist-up eye shadow crayon that is very soft when you apply it. If you work quickly you can blend it but within a few seconds it sets and doesn't budge easily. Online the Jumbo Liner comes in an amazing 28 shades, but in store the offering was much smaller. I chose a pretty pale peachy golden shimmer, misleadingly called Beige and I also bought Khaki. I was interested in the Jumbo Liners more as a smudged out eye shadow than a precise eye liner, so I didn't pick up any of the matte black or brown options. 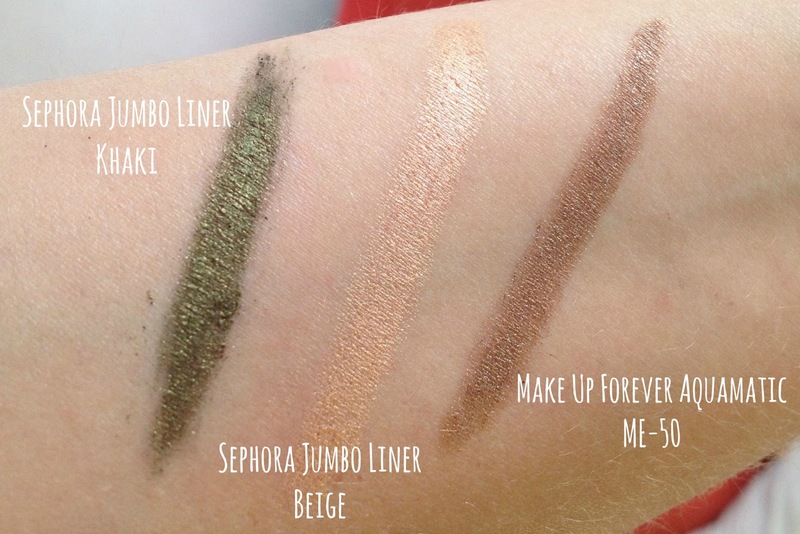 But I did want a bronze shimmer colour and there weren't any in the Sephora range in store. However, I did find the colour that I wanted on the Make Up Forever stand! 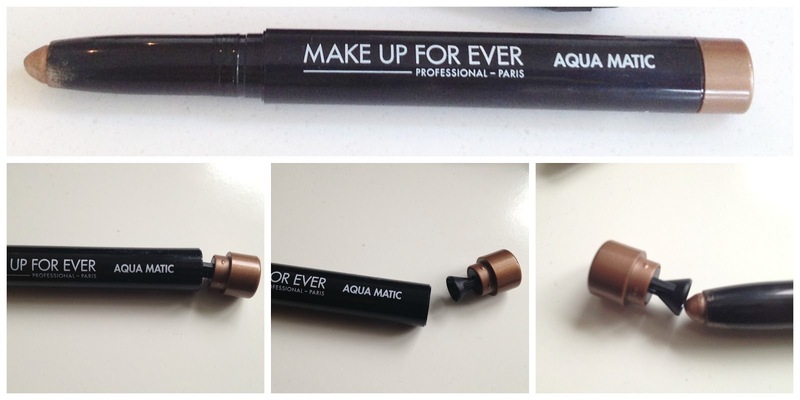 The Make Up Forever Aqua Matic pencil is a very similar product which comes in 10 shades (but is twice the price). I bought shade ME-50 which is described as metallic golden taupe. Like the Sephora Jumbo Liner, the Make Up Forever Aqua Matic is a twist-up soft crayon which can be blended before it sets. I hadn't actually realised until just now, but it also has a little sharpener in the other end! The crayon itself doesn't need sharpening because it twists up, but if you want a more precise point then you can use the little sharpener which then neatly tucks away at the other end of the pencil. Amazing! The Aqua Matic has a hidden sharpener in the end! I really like all 3 of these pencils. Once I'd bought them they were the only eye shadows I wore for the whole holiday. Despite being half the price, the Sephora own brand version holds its own against the Make Up Forever Aqua Matic. It was only the shade difference that persuaded me to spend more on the Make Up Forever version. I was so excited to find such a robust waterproof eye shadow that I couldn't resist also picking up a waterproof mascara. I usually wear waterproof mascara on a daily basis anyway, but I've found that there are different grades of waterproof. I have several fantastic mascaras that claim to be waterproof, which don't budge during the day but certainly couldn't withstand a swim without smudging (such as my usual daily favourite Max Factor Clump Defy Waterproof masacara). Seeing as I was on holiday I wanted to find a mascara that I could wear in the pool without looking like a panda afterwards. So I ended up picking up the Make Up Forever Aqua Smoky Extravagant Waterproof Mascara. The Make Up Forever Aqua Smoky Extravagant Waterproof Mascara has a tapered wand which is fat at one end to add volume and narrow at the tip to get hold of tiny lashes. The wand reminded me a little of the L'Oreal Miss Manga Mascara (which I reviewed HERE) but the formula is easier to work with and less clumpy. I had to be a bit careful with the application because I often find a bigger wand can accidentally smudge onto your eyelids. But I really liked the effect it gave. My lashes looked much longer and my eyes looked bigger. I tried to remember to take the pictures at relevant points during the day (and I wish the last one was a better photo!) but I was really impressed with both products!! In the photos above you can see that even after a whole day of sun, heat and swimming the khaki Jumbo Liner is still visible and the Aqua Smoky Extravagant Mascara is still there and hasn't run or smudged. 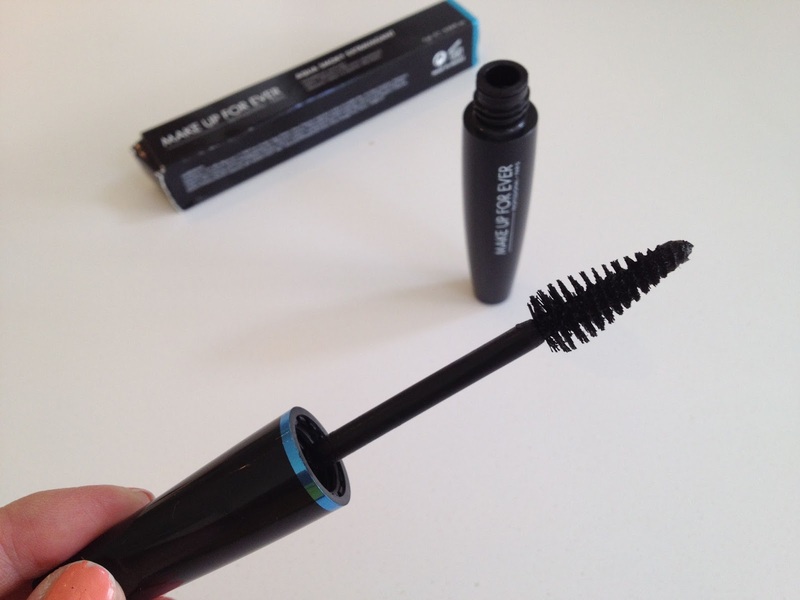 I actually tested each of the liners and the mascara over several days and each time was pleased with the result. At approx £19 (when converted from the price I paid in Euros) the Make Up Forever Aqua Smoky Extravagant Mascara is more expensive than any of my other mascaras, but I am very pleased with it. You don't need to spend this much to get great looking lashes, but to find a mascara that can withstand a whole day at the pool including swimming underwater justifies the cost in my book. Obviously waterproof products need a suitable make up remover, but I have always found that Micellar Water type removers do the job perfectly (like this or this). Many make up products that claim to be waterproof really just mean than they can withstand some humidity or a rain shower. But all of these products have well and truly passed my waterproof test! I definitely recommend them all! 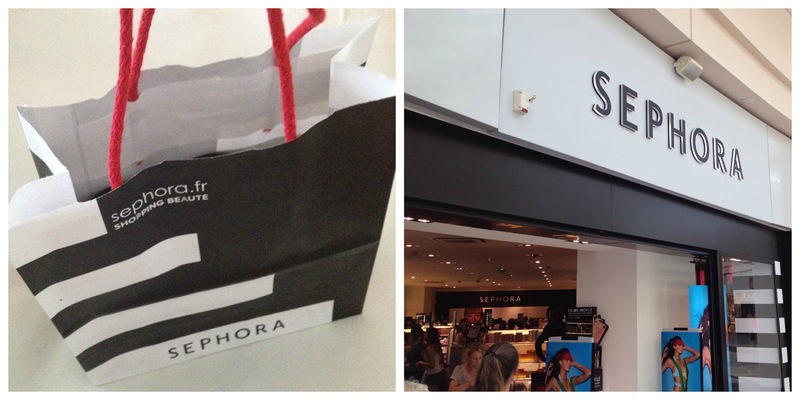 If you aren't heading near any European stores anytime soon then don't forget that Sephora now also delivers to the UK! Sephora 12H Wear Jumbo Liner is $12 HERE. Make Up Forever Aqua Matic is $21 HERE. Make Up Forever Aqua Smoky Extravagant Waterproof Mascara is $24 HERE. 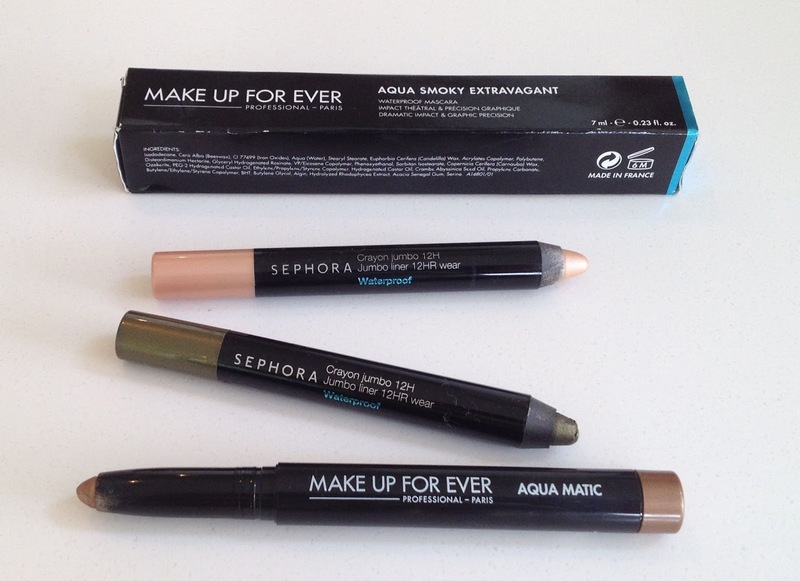 Have you tried any waterproof make up products - what did you think?